Horses Wanted and Positions available - Please email details of horses to gemsbrookdressage@hotmail.co.uk with video link if available. Schoolmaster wanted to be kept by us to replace our long standing schoolmaster who is now 26 years old. Ideal for someone with an established horse they no longer wish to compete. First class care – loan agreement or nominal value. Kept as own horse and only used for limited lessons and working students. 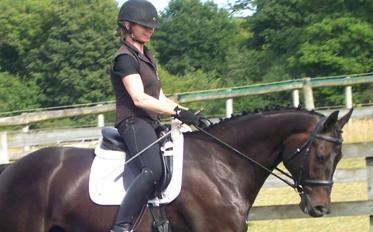 15.3 - 16.3hh - 6-12 yr old, easy temperament for amateur and competing novice - medium, good price paid for the right horse. Part time groom - to cover weekends – must be a competent groom who can do at least 6 boxes easily and complete all other yard tasks. Further training given but must be confident with big horses. Option of having horse on livery. Quality horses and excellent facilities make this a good opportunity for someone looking to gain experience or cover some of their livery fees. Work experience also available, on a weekly basis or short term.